Glad that i Share these tips on the Radio, though i don't trade penny stock myself, these TIPS that will definitely help you in your trading. Recently we see that there is a lot of action in the Penny stocks, many people started to become professional short term trader making 10-20% profits in a day. This is great sign that investors are coming back to the market. Number 1, I need to caution all investors not to overtrade, trade what you can afford to lose, today a new investors called me and told me he lost 9000 dollars in a single day and asked me for advice, the advice i gave him is to stop trading. 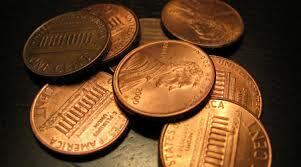 Number 2, the volatility in Penny stocks may cause you to lose alot of money in a day if your size is too big. Dont put too much money in Penny stocks. Number 3, The seasons to trade Penny stocks comes and goes quickly in Singapore. Make sure that you dont fall in love with the penny stocks when the seasons is over, penny stocks earn their bad names for a reason.